The Syracuse University Brass Ensemble (SUBE), directed by James T. Spencer, will launch its 2013-14 season with a concert in Lee Center, north of Rome, N.Y. The group is housed in SU’s College of Arts and Sciences. The performance is Tuesday, Oct. 29, at 7 p.m. at St. Joseph’s Church (5748 Stokes-Lee Center Rd.) and is part of the “Tuesdays in Lee Center,” a popular weekly entertainment series. The concert is free and open to the public. For more information, call St. Joseph’s at 315-336-2661. Spencer also teaches in the College, where he serves as a Meredith Professor, professor of chemistry and associate dean for science, mathematics and research. The concert will cover a lot of thematic ground—from classical (Tchaikovsky’s “Swan Lake Suite” and Glinka’s “Overture to Russlan and Ludmilla”), to pops (music from the James Bond and “Pirates of the Caribbean” series), to holiday (“Carol of the Bells”). It will also feature trumpeter Craig Elwood G’90 and French hornist Claire Tuxill McKenney as soloists in the “Huron Carol” and in Franz Joseph Strauss’ “Nocturno,” respectively. Both soloists are veterans of the group. 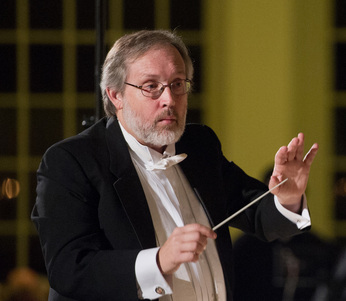 Rutledge has been St. Joseph’s music director since 1984. This fall, SUBE will also perform at Holy Family Parish in Little Falls (Nov. 17), Saints Peter and John Episcopal Church in Auburn (Nov. 25), Hendricks Chapel at SU (Dec. 8), and the United Church of Fayetteville (Dec. 15). SUBE features professional, amateur and student musicians from throughout Central New York. The award-winning group presents several dozen concerts a year, including “Holidays at Hendricks,” which is broadcast every winter on WCNY TV and radio throughout New York state and southern Canada. Distinguished composers from whom SUBE has commissioned music include Robert Ward, Arthur Frackenpohl, and Joseph Downing. DVDs of the ensemble are available at the SU Bookstore. More information is at subrass.com.